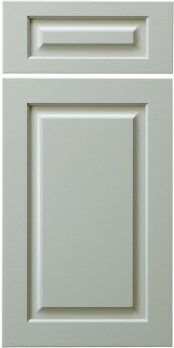 The CRP-10 is Conestoga’s (CWS) most traditional square raised panel door. This door is available with an assortment of edge profiles, framing beads, & panel raises. In order to make this door optimal for painted finishes, CWS created the CRP-10 (MDF) door. This square panel door features five-piece mortise & tenon joinery and is constructed of full MDF (Medium Density Fiberboard). If you desire a painted finish on a traditional door design, then consider the CRP-10 (MDF).